Woo this weekend has been super busy!! It was my little sister’s birthday and things were non-stop!! Even with such a busy schedule I was still able to make this ice cream treat that only takes 5 minutes to make and can be made in an array of combinations!! Poptart ice cream sandwiches!!! These are super fast and super yummy!! 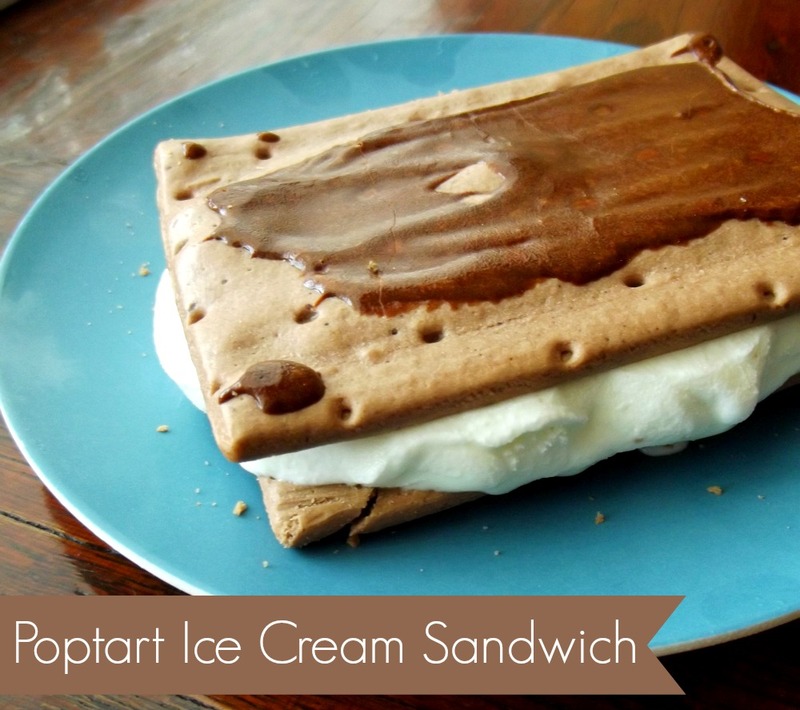 Just mix your favorite ice cream flavor with your favorite Poptart and voila! instant custom ice cream sandwich. These are a huge hit with kids and they can help you make them and choose their favorite. You can even roll the edges in sprinkles for a little something special! I used chocolate peanut butter Poptarts and vanilla icecream for my concoction and it was to die for! Let the ice cream soften a bit and spread between the two poptarts. Ummm…. Yum!! I ate way too many poptarts as a kid (the smores ones were my favorite! ), so this makes me super nostalgic. :) Thanks for linking up to Give Me the Goods! This is making me starving! YUUUM! What a fun idea for an ice cream sandwich! Thanks for sharing at Simple Supper Tuesday. Perfect for beating the summer heat. I pinned! Wowzers! This sounds so good! My boys would love me if I made these for them – thanks for sharing! And oh~ Ice cream poptart! We love ours in between 2 slices of bread~ We’ll have a bit of freeze teeth when we bite into the soft bread and the ice cream. This is a genius idea!!! Thanks for sharing this deliciousness and thank you for linking it up to Thrifty Thursday! It’s amazing what can be done with ice cream! 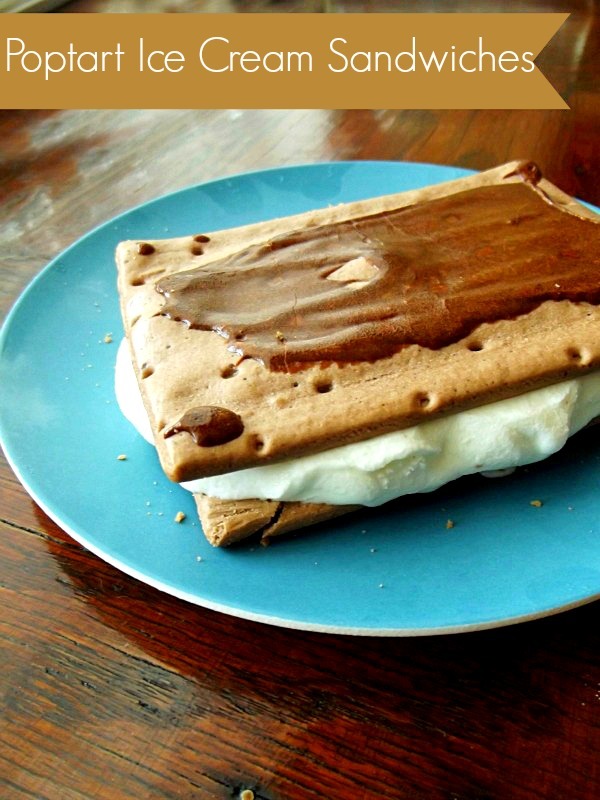 I would have never thought of putting it between two poptarts, but it sounds beyond yummy – especially with the peanut butter chocolate…. Love the idea! Oh yes, I usually halve them although some of the men in the family want the whole ones lol! Oh, YUMMY! That is such a cool idea! There are so many flavors to mix and match too….hmmm…I’m thinking chocolate Poptarts with mint chocolate hip ice cream….just name one! :P I just may have try these out on my grandkids! Oh man that one sounds awesome!!!!! This is so simple and so right! Pinning to my dessert board and making it as soon as I can. Yum! Thanks for sharing at All Things Pretty! Holy yummmm! Love a good Pop-Tart :) Found your post over at Memories By the Mile!